Dual Ball Bearing GT2871R turbo assembly with T25 style turbine inlet. 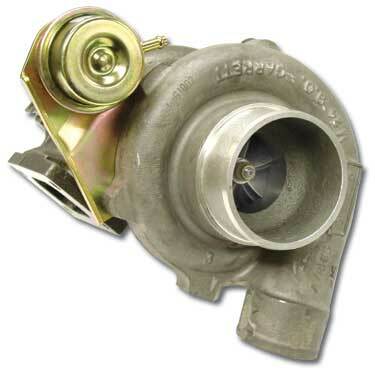 Comes with internal wastegate pre-assembled when purchased with T25 style housing. This turbo is great for small displacement engines up to 2.2L and has the ultimate spool up time compared to other units. This turbo has a flow capacity of about 400HP. The external packaging of this turbo is identical to that of the GT28RS and can be a nice stealty upgrade to step up to 400HP of flow without much re-arrangement.